Sometimes the audience is glued to the musicians. Other times, “the alpha male in the audience doesn’t care, and so nobody else is allowed to, either,” says Timothy Merton, co-artistic director of Sarasa Ensemble. Two different audiences, but one venue: a house of correction. Sarasa doesn’t just perform in lockups, as enthusiastic audiences at more traditional venues in the Boston area over the past 20 years will eagerly attest. But since Merton’s first appearance at Sing Sing in 1997, the ensemble has continued to work performances in adult prisons, correctional facilities for teenagers, and mental hospitals into its regular concert schedule. 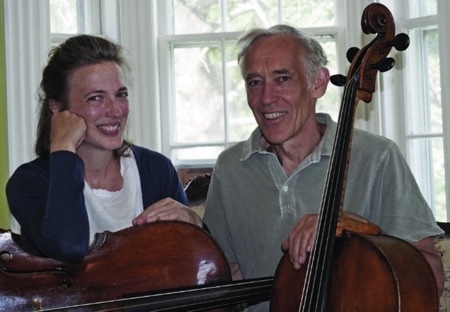 Merton and his life and musical partner, Jennifer Morsches, are cellists and co-directors of Sarasa, which is celebrating its 20th anniversary this season — “and next: we’re going to spread it out over two years,” says Merton — in the most appropriate way: by playing music with lots of colleagues, in lots of different places. Two programs in October start the subscription season: a Bach concert, based on The Art of Fugue, and concerts featuring octets — Charpentier, Schnittke, and Mendelssohn — in collaboration with the Richter Ensembles, a chamber music initiative founded by violinist Rodolfo Richter. Early December programs include music of Boccherini and Mozart with violinists Elizabeth Blumenstock and Christina Day Martinson among the guests. A world premiere by Julian Grant forms the centerpiece of several March programs, and arrangements of Beethoven and Mozart conclude the season in May. “We have a huge range of what we do, from Baroque to contemporary,” Merton says. Programs mixing Berio and Bach, Schnittke and Charpentier, the Grant premiere, and Italian Baroque bear that out. Morsches has been doing the programming for Sarasa for the past three seasons. “I ask Tim if it’s okay,” she says. “Sometimes it’s not,” he says. Well, it’s part of what they do. The dedication to performances in correctional facilities is also a part. It’s an effort that transcends choices in repertoire or explaining the nuances of Ligeti or Boccherini to audiences. Most of this audience is experiencing classical music — and seeing these instruments — for the first time. 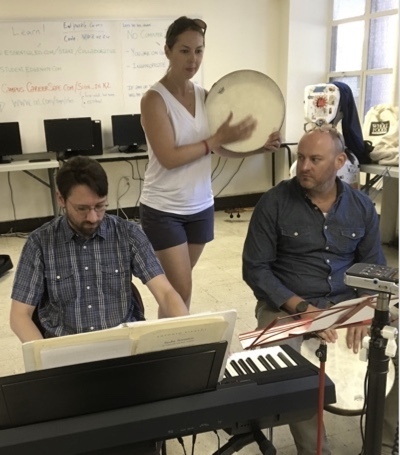 Merton organizes two types of performances: weeklong residencies that get prisoners involved in the music-making — beat-box jams to Vivaldi, and the like — usually in the summer, along with shorter performance visits. 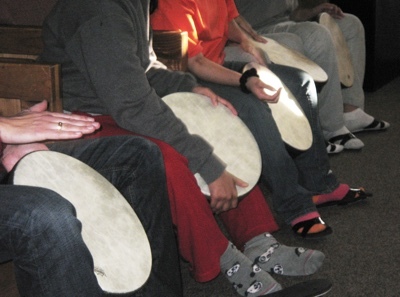 Sarasa has done more than 250 such presentations and been awarded Early Music America’s Early Music Outreach Award (in 2007), as well as a more recent citation, a Community Partner Award by the Massachusetts Department of Youth Services. “It’s bringing music to audiences that never will get it,” Merton says. “In juvenile detention centers, they are in a different world. Getting the music across to them can be a challenge, but we manage to learn how to do it. They have a street sense; they recognize things that are authentic. “You definitely notice the focus when you’re in the room,” Morsches says. The commission from Julian Grant furthers the ensemble’s efforts to mix the new and the old. Folded into Sarasa’s March programs, “Uccelli Barocco–Baroque Birds,” Grant’s short opera is based on Rhoda Levine’s children’s book, Three Ladies Beside the Sea. Morsches met the British-born composer during last season’s world premiere of Grant’s The Nefarious, Immoral, but Highly Profitable Enterprise of Mr. Burke & Mr Hare at the Boston Lyric Opera. And while they’re juggling, audiences of all kinds are reaping the rewards. 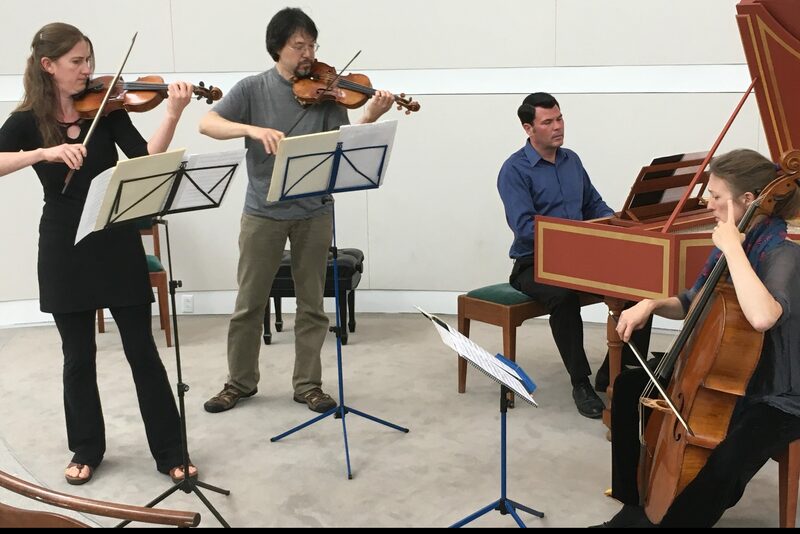 Sarasa Ensemble opens its 20th-anniversary season with three concerts in greater Boston Oct. 19-21 featuring Bach’s The Art of Fugue interspersed with music by Berio, Dutilleux, and Penderecki. For more information, visit www.sarasamusic.org or call 617-429-0332.